located along the river Neretva. We could be proud that our country is among the three countries in Europe that are engaged in the production of watermelon. Watermelon is a flowering plant originally from southern Africa but eventually it spread into the Mediterranean area and Europe. It contains 92% water, 6% sugar, and the rest is fat. As watermelon is native to Africa, it needs a warm and long growing season in temperatures up to 80 degrees each day. 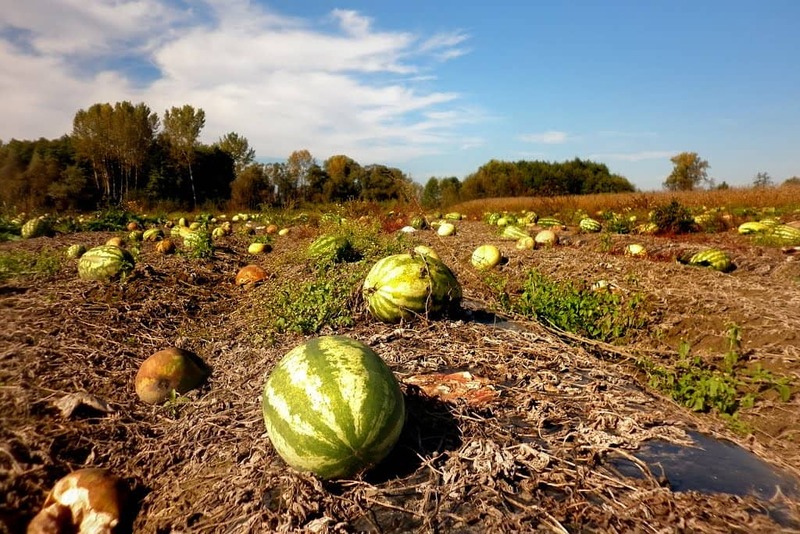 As the summer temperatures in Herzegovina are reaching 50 Celsius degrees so it makes our area very suitable for the cultivation of this kind of fruit. Generally, there are many types of watermelon, the most popular one that could be found in markets is seedless watermelon,Â also we haveÂ picnic watermelon which is a bit larger than the seedles variety.Â Picnic watermelons are arguably the most common type of watermelon available today, as they exhibit the traditional oblong shape, green rind, and sweet red flesh.Â A less known type isÂ yellow/orange variety, Â which is named according to its round shape and yellow to orange color. Â Basically, we have seeded and seedless types of watermelon. Also, watermelon has numerousÂ health benefits and we will mention just few of them.Â Watermelon’s high levels of lycopene are very effective at protecting cells from damage and may help lower the risk of heart disease. Furthermore, watermelon has anti-inflammatory properties. it keeps youÂ hydrated,Â improves digestion.Â Watermelon has alot of Vitamin A that helps keep skin and hair moisturized. It helps aslo with muscle sorenessÂ andÂ reduces the risk of cancer. During your stay in Herzegovina in summer days you can find watermelon in any marketÂ at a very affordable price. In the season the price falls even to 0,5 Euro cent.Â There is an interesting fact about watermelon in our country, the official term isÂ lubenica but in Herzegovina it is also known asÂ karpuza.Â Also, Herzegovinian people have a little bit odd wayÂ of checking whether the watermelon good, they knock on it and according to the sound they decide if it is good or not.